How highly would you rate financial skills as a key part of navigating life? As we grow up, we tend to discover that financial literacy is an important tool for setting ourselves up for success, but how many of us had those skills when we first needed them? Financial skills are often not taught in schools and, if you grow up in a household where your parents aren’t particularly financially savvy, these may not be taught at home either. Studies from the National Financial Educators Council find that young people are often woefully underprepared to strike out into the world and manage their financial affairs. 76% of college students wish they had more help to prepare for their financial futures. “College graduates spent 16 years gaining skills that will help them command a higher salary; yet little or no time is spent helping them save, invest and grow their money.” – Vince Shorb, CEO, National Financial Educators Council. Children as young as 3 years old can grasp very basic concepts about money according to Beth Kobliner, author of two best-selling financial literacy books. Have you ever heard a young child suggest that you can just “get more money out of the machine” to pay for something they want? Any parent on the other side of this interaction will realize the need to communicate the value of money early. Start the conversation while they’re young and keep it simple. 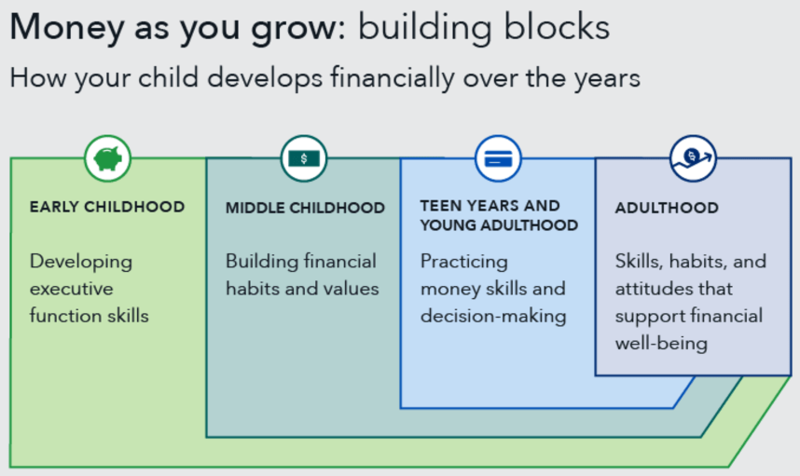 Appropriate lessons in money management are really an “age and stage” dependent activity, but young kids may understand a lot more than you’d think. Research from the University of Cambridge and Money Advice Service in the UK found that kids form their money habits by the age of 7. We live in an instant gratification world. Instead of waiting for “your song” to come onto the radio so you can make a mix-tape, you just search for it on a streaming service and play it whenever you like. The same kind of attitude has become prominent in how we go about our financial lives. “See. Want. Buy.” is common now that people have easy access to consumer credit and often just put purchases on credit cards. Is this what your kids see too? An important lesson that can be taught early is that you may simply have to wait in order to buy something that you want. Your three-year-old might find this a tough one to learn (we all do really! ), but they can definitely comprehend the lesson. This will usually mean teaching them to save up for something that they really want. It can be difficult for kids to make the connection with money if it always seems to involve a plastic card, so this is where saving in a piggy bank or jar, something where they can physically see and touch the money, can help them understand. Boundaries and values are also important money lessons. When you make a visit to a store, kids will always find something they “need.” Be firm about “we came here to get X only,” and they’ll start to get the picture about money being a purpose-driven resource. Promoting a hard work ethic instills the value that money is neither scarce nor abundant, but rather something earned with applied effort. Money does seem like a mysterious concept to a young kid. They don’t understand the real cost of things and they may not really understand how we get money in the first place. You’ll see this when your preschooler pulls out a dollar bill and tells you that they have the money to pay for that toy they want. Start to have conversations about this while they’re young, explaining that money has to come from savings, and someone had to work to earn it. School-aged kids (or those with the appropriate maturity) can start to learn this by earning their own money. Rather than being handed an allowance, they could earn money for doing extra jobs (typically above and beyond household chores) around the house or neighborhood. The other thing to make money more “real” is to make a demonstration out of the times when you’re using cash and not a card. If your child can hand over cash at the store for a purchase and get involved with how much something costs and how much change comes back, it’s a more tangible learning experience. There are endless math opportunities here too. In addition to those first two ideas for teaching about money, the easiest way for kids to learn is to actually have some money of their own to manage. A suggestion that has worked well as a teaching tool is the three jars technique. This advocates that you set up three jars with your child: one for saving, one for spending, and one for sharing and charitable giving. Kids as young as three will be able to understand the basics. You can set up physical jars at home, or Moonjar builds a nice box set that does this, which makes a great gift. For every amount of money a child receives, either through earning or from a gift, the money gets divided among the jars. This can be according to a preferred ratio or simply divided equally. Spending is for discretionary purchases that kids might like, such as stickers or ice cream. Saving is for a big future goal, like college. Sharing allows your child to gather a sum of money and then make a gift to a charity. Walking to a local charity and handing over cash once or twice a year can be a memorable experience that enhances the significance of giving. The three jars technique is a good way to teach them about values and money as you discuss with them how to make meaningful choices. 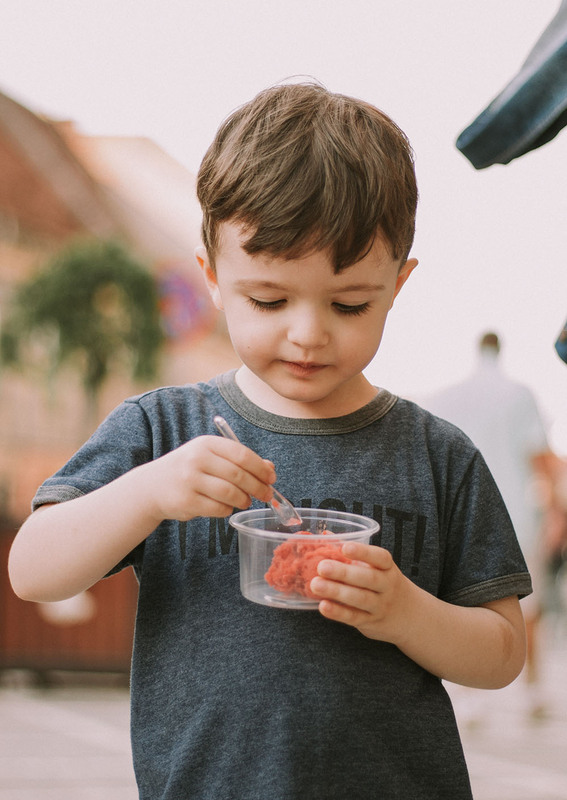 When it comes to saving and spending, kids are naturally going to have to make choices, especially if you teach them that what they have in their jars is it. What happens if they blow the whole spending jar on a particular toy, but also wanted a new book? They learn a valuable lesson about budgeting and over-spending. This is an important lesson for slightly older kids as they get more comfortable with saving. How does money grow? What do people do to create some financial freedom for themselves? Teach them about how compounding interest works to grow savings or investments faster. This is usually easier with practical examples, such as showing them with their own savings account or college fund. Get them involved with tracking those accounts every month and seeing how they grow over time. To make this more real, consider amping up the interest rate yourself and giving a parent “interest” payment of 1% per month to grow the money they’ve saved. On the flip side of the coin, if you have older teenagers, it’s definitely important to have conversations about debt, how it works, and the dangers of consumer debt like credit cards. As soon as kids turn 18, they’ll find themselves bombarded with credit card offers, which of course often sound tantalizing to a kid who may not have much of their own money. 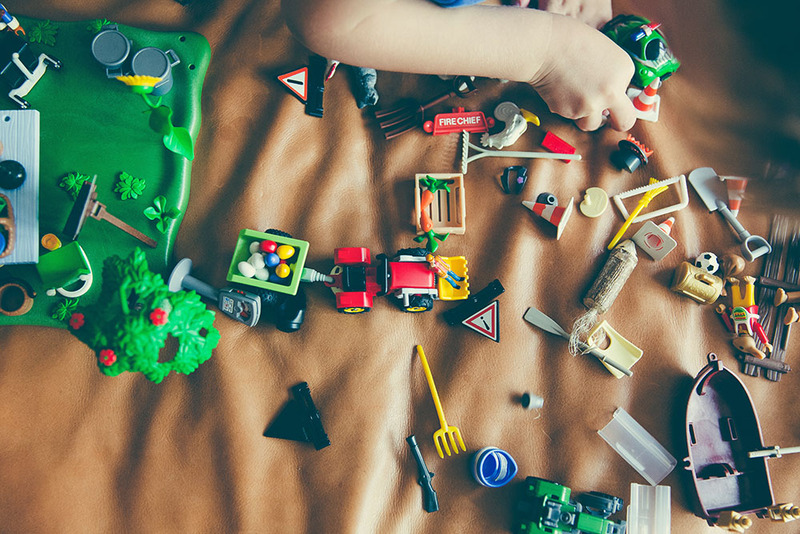 A lot of kids really have no idea about the real costs of everyday life, but you can start to clue them in early by involving them in key household activities. For example, you might get them involved with the grocery shopping when they are old enough to understand what is needed and the budget that they have available (usually starting around Middle School). “We need to feed 4 people on $X per week” can be a great way to get kids thinking about how money is allocated. One takeout meal might take up a quarter of the budget, but what happens if they plan out home-cooked meals? Can they find room in the budget for treat items while ensuring that everyone eats nutritious meals? Another idea might be getting them involved in planning for family goals, such as a vacation. It’s a good lesson to learn that you don’t just “come up with money” for family treats, planning and budgeting is key. As soon as kids can write they can track spending. If you get them into doing this from a relatively young age, it helps to promote good habits which you hope they’ll carry with them into adulthood. You can use a simple pencil and paper ledger to have them track balances, income, and expenses. Kids form their attitudes and aptitude with money from an early age, generally through what they see modeled by the significant adults in their lives. Given that financial literacy is a hot issue, which is generally not covered in formal schooling, you can give your child a head start by involving them early in managing money. Talk about money. Give your kids responsibility for money. Like learning to brush your teeth and tie your shoes, it’s a life skill you don’t want them to live without.